The tug Rocket is now over 100 years old. 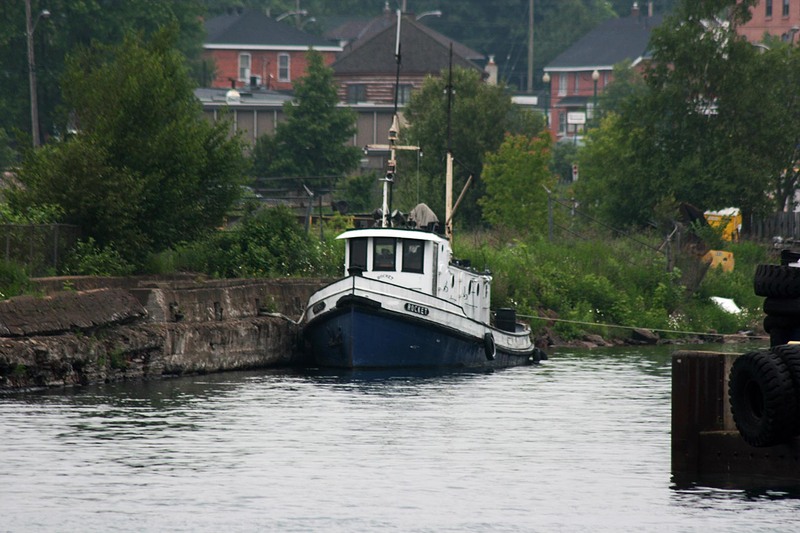 The 73' by 16' by 7' vessel was built by the Buffalo Drydock Company of Buffalo, NY, and completed as a fish tug in 1901. 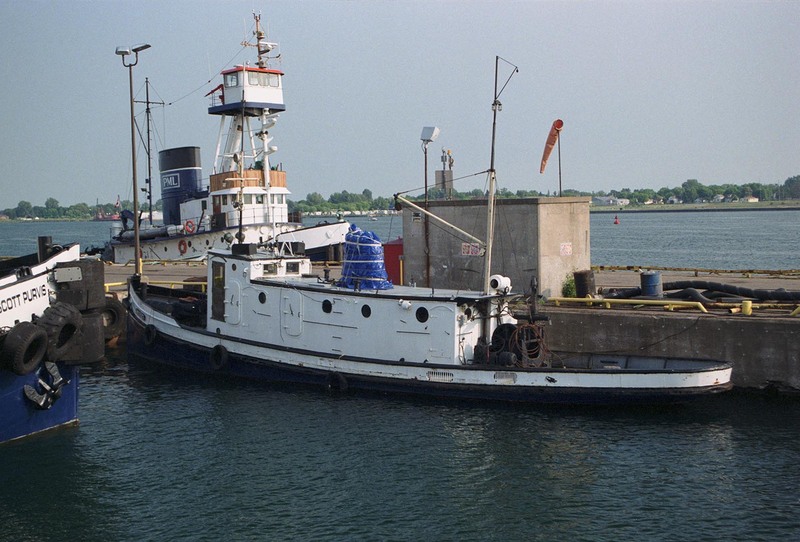 The tug was owned by W. Tallman of Erie, PA, in 1915. It joined the Great Lakes Pulp and Paper Company in 1940 and, three years later, they replaced the original fore and aft 2-cylinder compound engine (9"-16"x12") with a Kahlenberg oil engine of 180 bhp. Great Lakes Pulp and Paper used Rocket (C171068) for rafting, and the 39-gross-ton vessel then joined Abitibi Pulp and Paper in 1955. Finally, in 1967, it became the first member of the Purvis Fleet. Two 8-cylinder Detroit diesel engines, totaling 600 bhp, were installed in 1983 and they continue to serve this still very useful tug. At the Purvis Dock, June 24, 2005. In the back corner of the Purvis yard, June 25, 2010.